From the high mountains to tacky mud and rocky mesas. 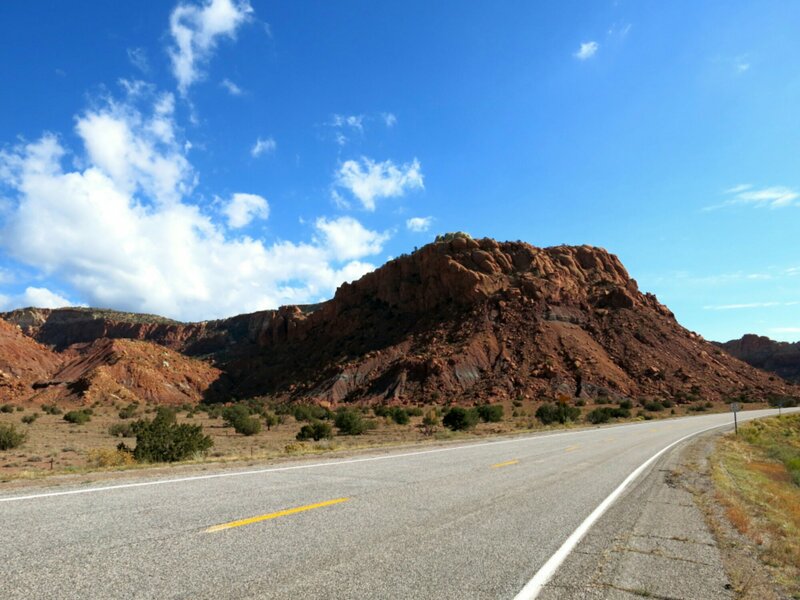 The Southwest provides a change in scenery. 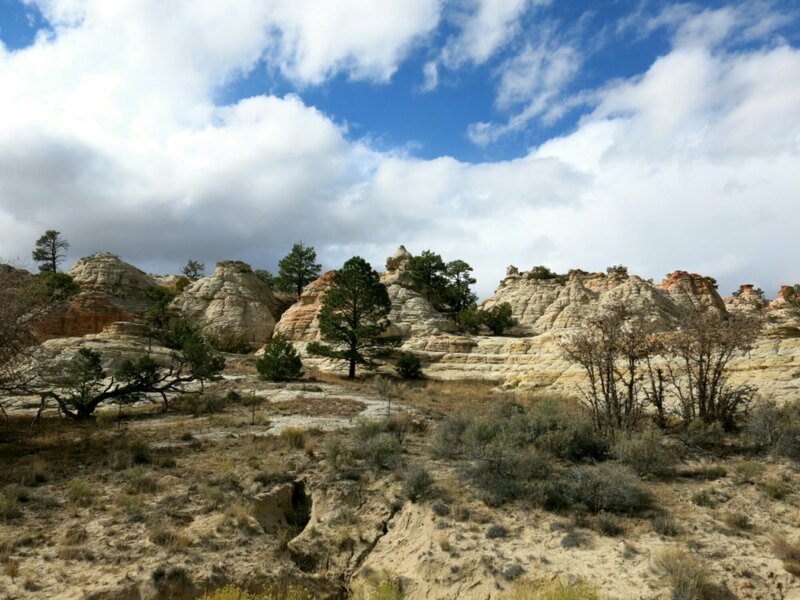 The change from trees to rocks happens nearly right after crossing the Colorado border. 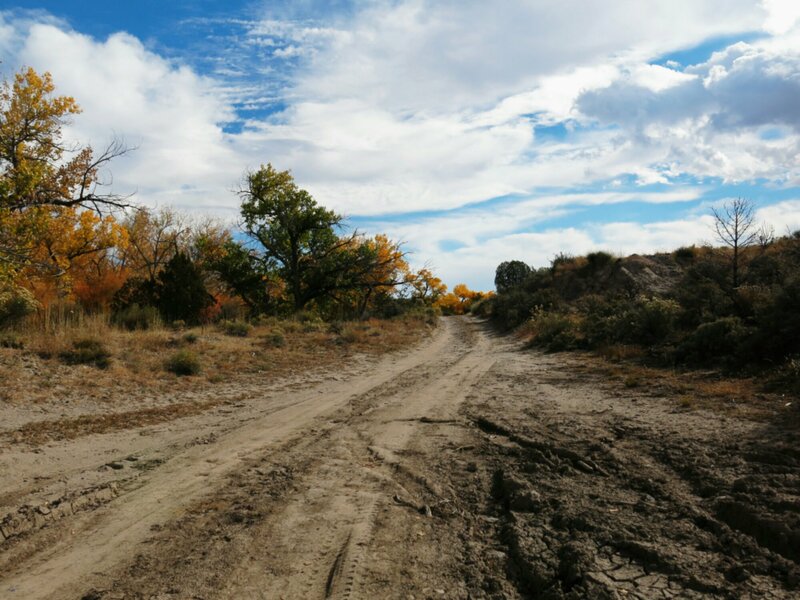 The warnings in the Divide maps for New Mexico are all about rain, which apparently changes the dirt here into an impenetrable mud. Storms brewing diverted me to a lot of road alternates for this section of the Divide, which ultimately worked out well. 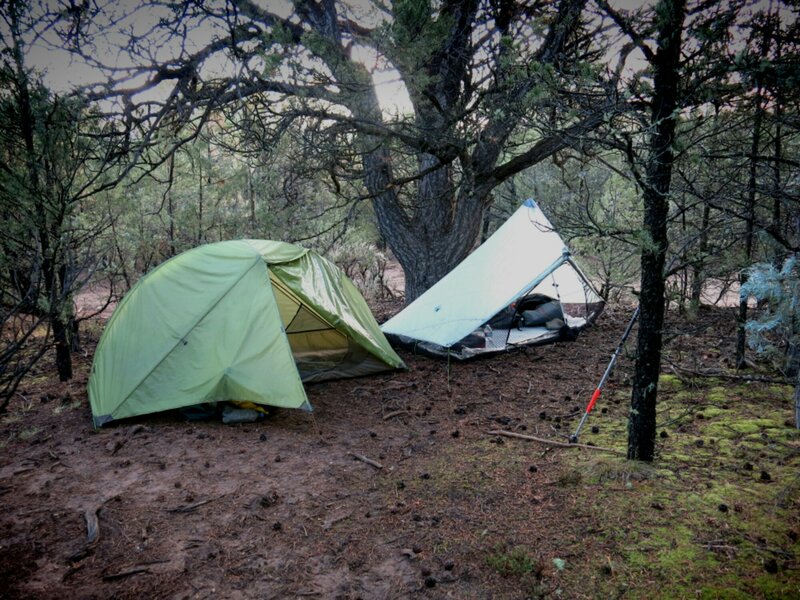 Here I pitched my tent for the night with Kirk, who has been hiking his way south from the Canadian border in June along the Continental Divide Trail. 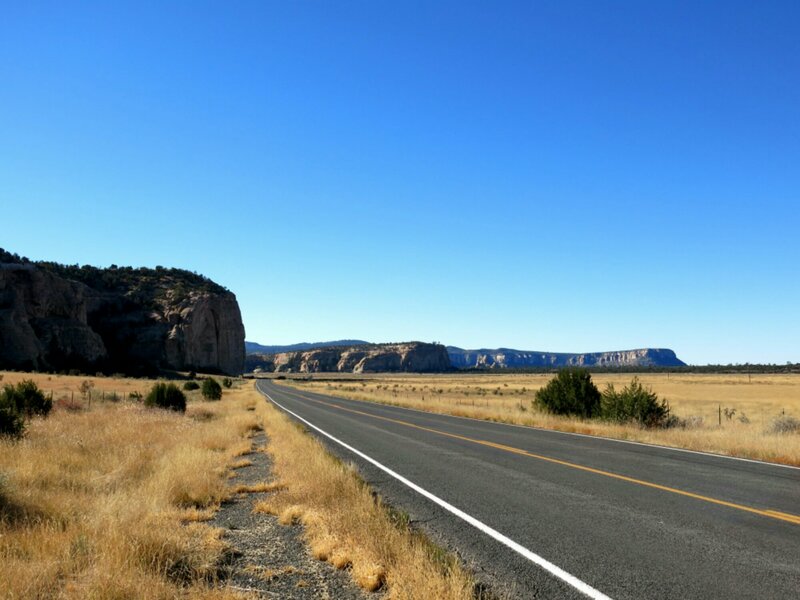 The CDT sticks as close to the Continental Divide as possible, whereas the Great Divide biking route sticks more to dirt roads that parallel the Divide. 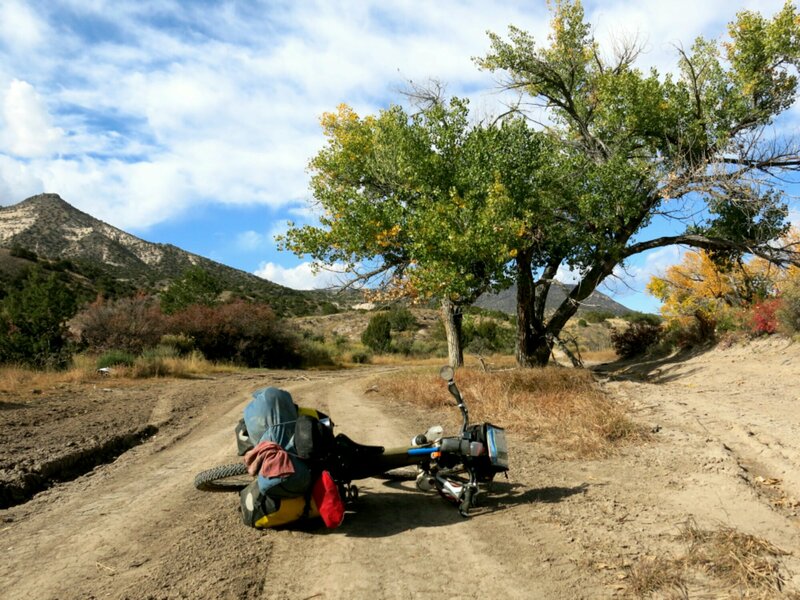 Kirk would be the first of the CDT hikers I got to meet, for while there aren’t many bikers riding the Divide this late in the year, November is apparently when many of the southbound CDT hikers get to New Mexico. Fun group of people, and interesting to see some of the differences between long-distance hikers and bikers. I think we both raised our eyebrows at each others’ paces. 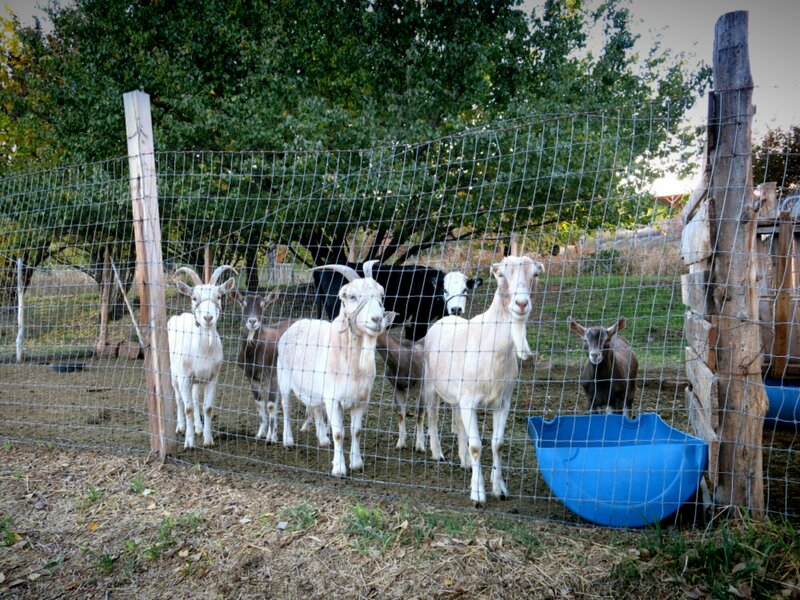 Goats in Abiquiu, where I got to spend a day resting with Santana’s family. And a backroads route away from their home, getting in a dirt fix. 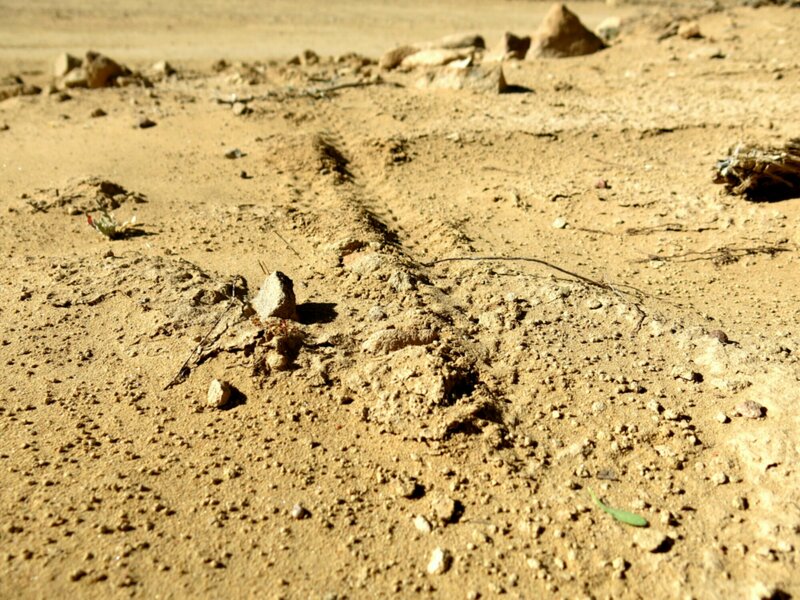 Mostly firm dirt or slick rocks, with a few patches of sand mixed in. Good riding. 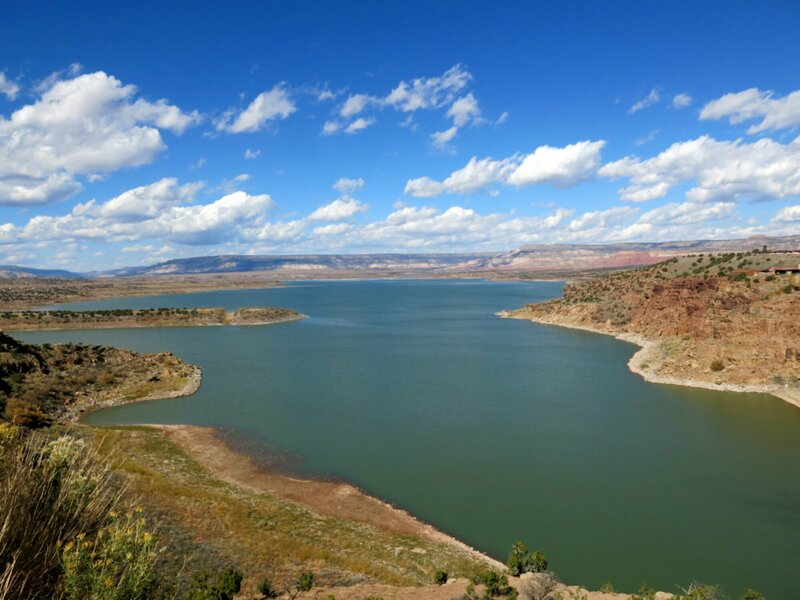 Abiquiu Dam, one of the only pockets of surface water I saw in New Mexico. Thankfully it wasn’t too hot, or carrying a lot more water would have been necessary. And in Cuba I got to stay with more family. 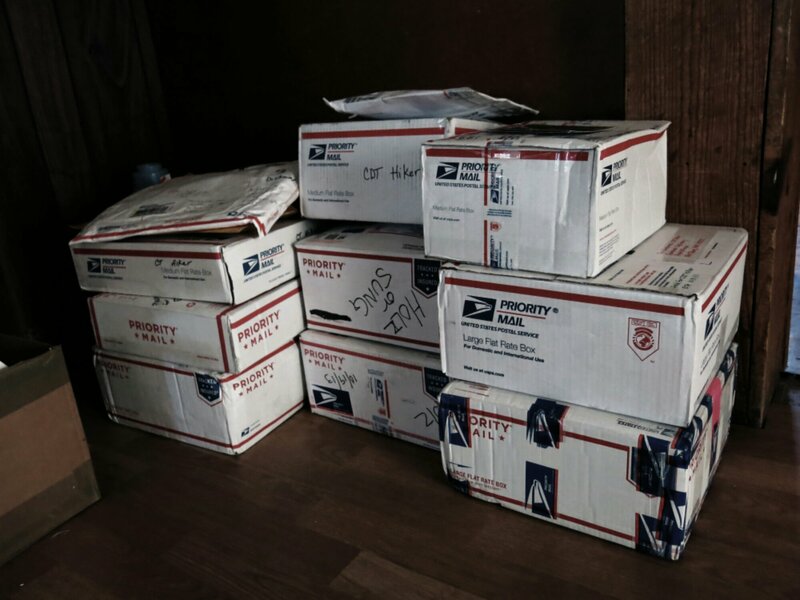 What luck, and thanks to all! 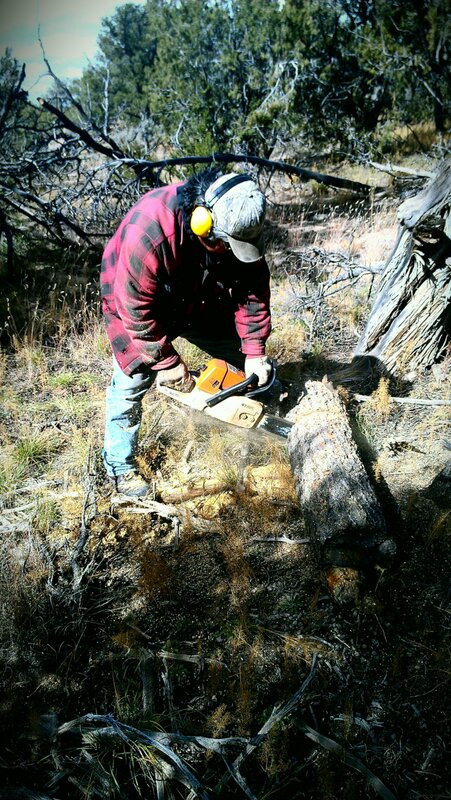 Chopped up plenty of wood with Eddy to keep the house warm through the upcoming storm. On the road from Cuba to Grants, amidst an ever-changing sky. 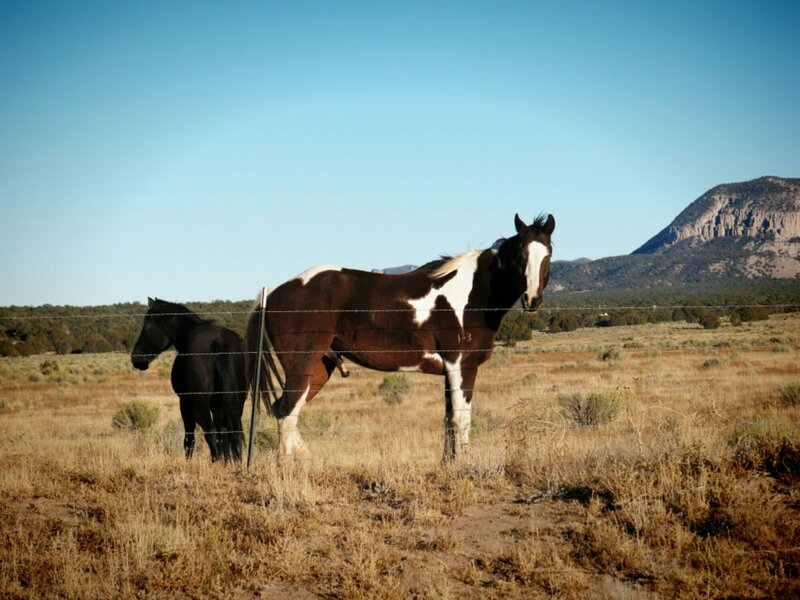 Mesas, jutting out one after the other, providing relief from an otherwise flattish landscape. When the road turns to sand, wider tires are better. Here I probably should have let more air out to make the going easier. 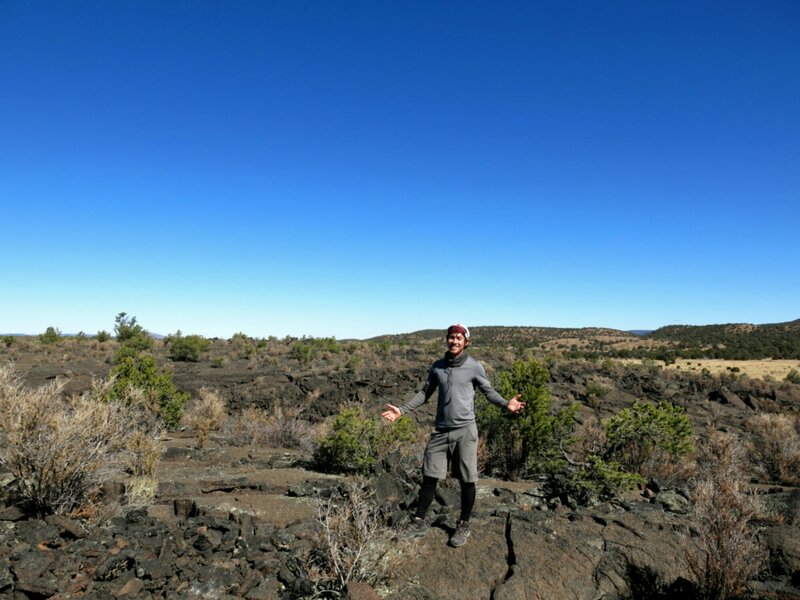 The area is also known for old lava flows that have hardened and are now used as waking paths. Heading for Pie Town, my final destination on the Divide. Getting close. 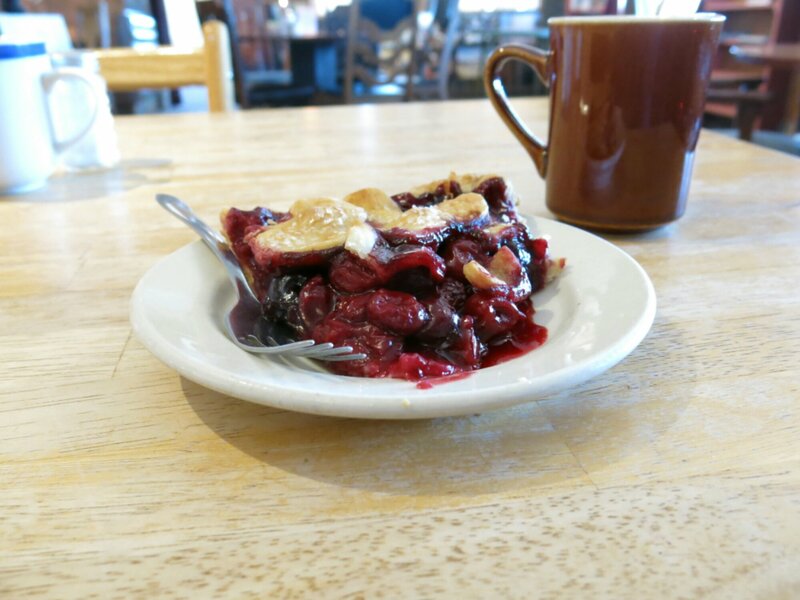 Pie Town is home to two cafes renowned for their pie, of course. 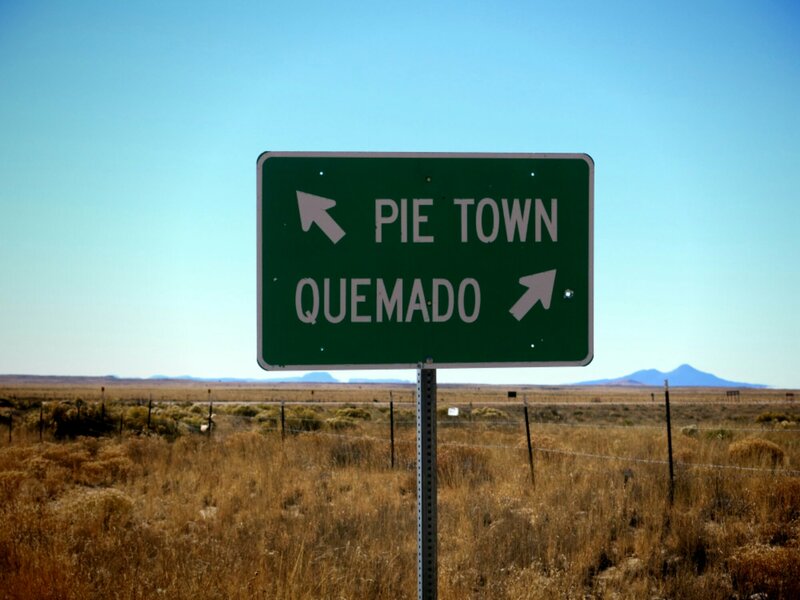 Legend has it the town was started when an entrepreneur found out a highway was coming through the area, and decided to sell pies to the travelers coming through. 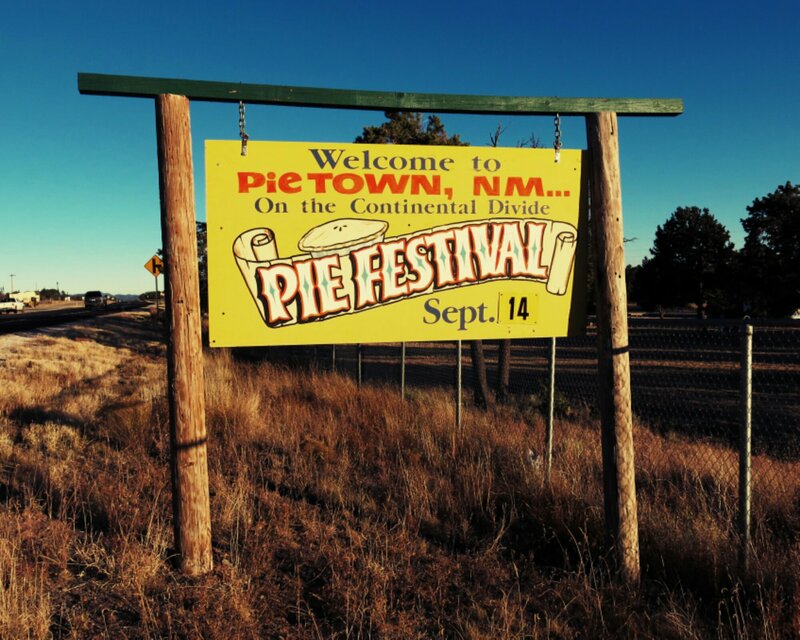 Now there’s a huge festival dedicated to the pies earlier in the fall, but a well-connected community lives there the rest of the year. 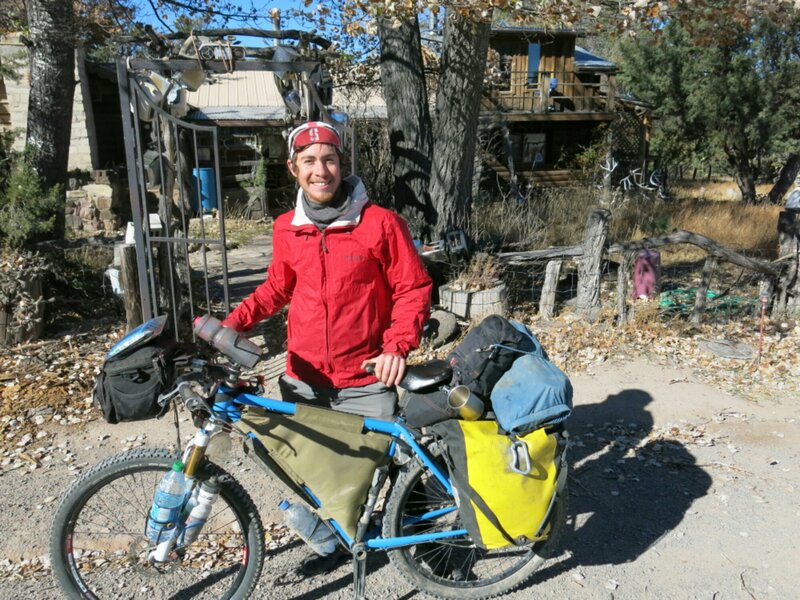 One woman, Nita, leaves a house open for all the bikers and hikers coming through, making the town a great meeting and resting place. The pie certainly helps, too. Followed by a piece of New Mexican apple. 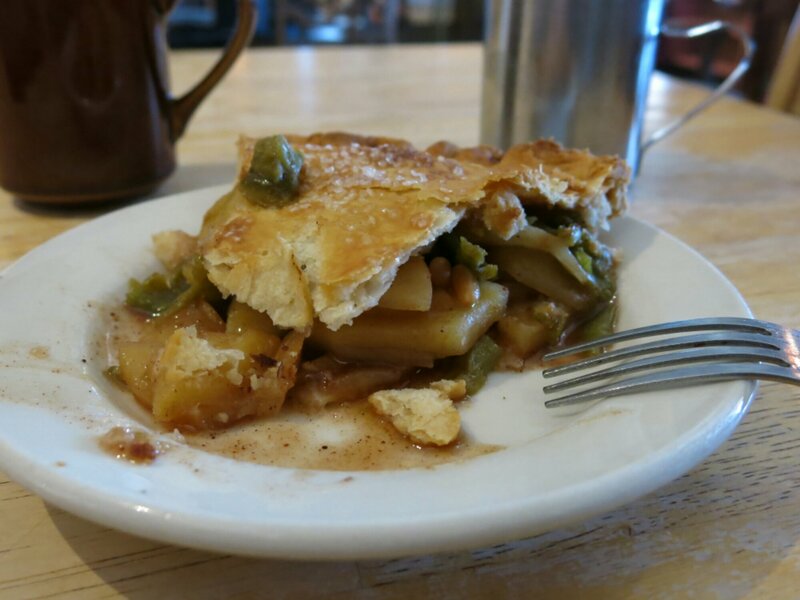 Apples cut up with pine nuts and green chile, for a little kick. Would definitely have been a good one to have a la mode. Nita’s house is called the Toaster House, and anyone in town can give you directions to it. With beds, a kitchen, showers, laundry, and food in the fridge, I think we all ended up staying a day longer than we planned. Four CDT hikers were enjoying a day off when I arrived, and another arrived the following day with word of 3-4 others a day behind him. The hikers are very organized, to the point where they shipped all (or at least most) of their food supplies ahead at the start of the trip and pick them up whenever they get to a town. Luckily for me, many were progressing through New Mexico faster than expected, so they had a lot of extra food they didn’t need. I’m now trying some of their homemade dehydrated foods (rice and beans or Tuna fish casserole anyone?) for my camp dinners. In front of the Toaster House, saying goodbye to a fun town in a unique state.